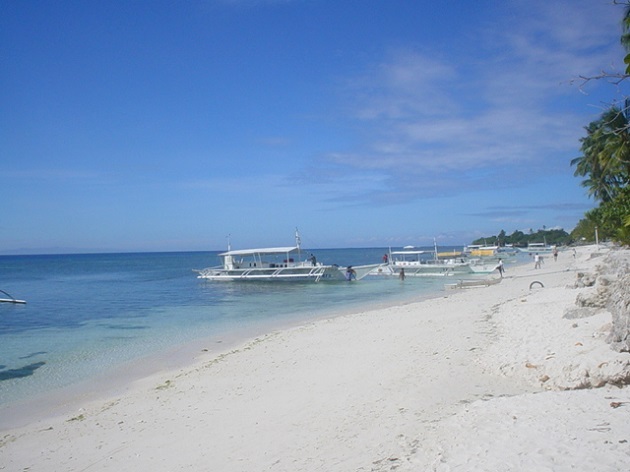 Danao Beach is located at Barangay Danao, Panglao, Panglao Island, Bohol. 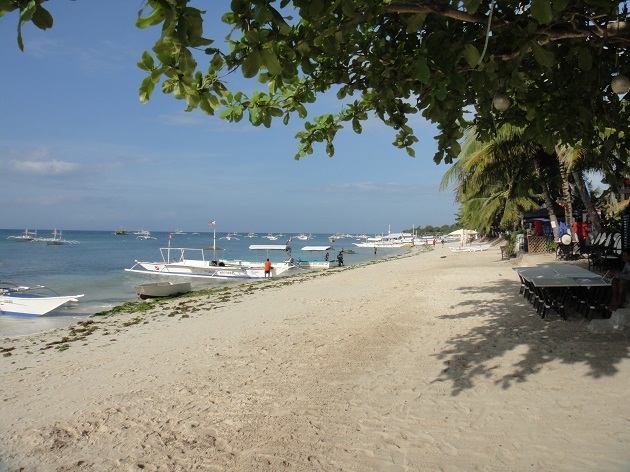 Like Alona, its nearest neighbour, it boasts of fine white sand, cool azure waters, teeming aquatic life and is also home to some famous dive spots. The beach and dive spots of Danao have gained recognition and so a few resorts have been put up to cater to the steady trickle of visitors. First-class resorts offering comfortable quarters, amenities and services are: Bohol Sea Resort, Kalipayan Beach Resort, Bita-ug Beach Resort and Alumbung Resort. The Kalipayan Dive near the Kalipayan Beach Resort consists of a wall dive at the beginning which slopes at the end of the dive. Most interesting is at 7-12m where one views many colorful and gigantic corals and encounters myriad fishes of all sizes and color especially small Barracuda, black and yellow Harlequin Ghost Pipefish, Comet, Banded Pipefish and the Blue-finned or Titan Triggerfish.